If your grandkids urge you to indulge them in a popular new snack at the mall, just say no. 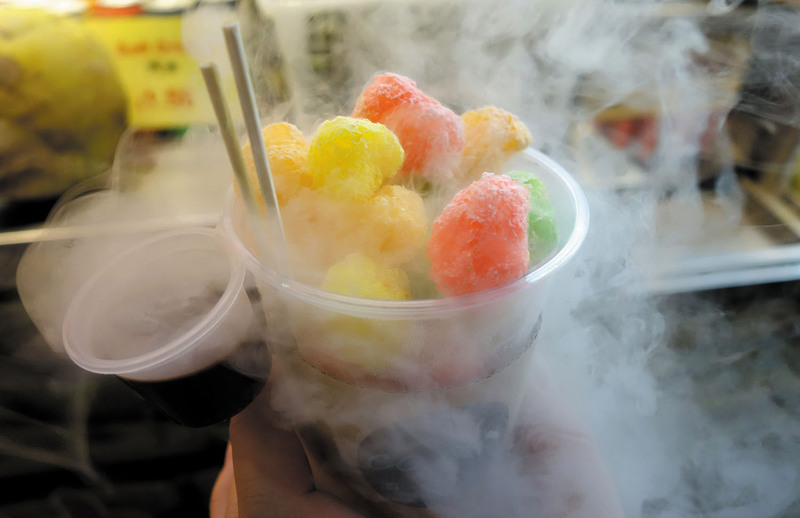 The FDA is warning that consuming products with liquid nitrogen added at the last minute can lead to injury. The products are marketed under names such as "Dragon's Breath" and "Nitro Puff." They're cheese puffs or cereal pieces that are frozen in liquid nitrogen and then dipped in a special sauce. When you put them in your mouth, the products release vapor that looks like smoke. Liquid nitrogen is also added to some cocktails to make them look like they're emitting fog. But the FDA says all of these products can cause severe damage to skin and internal organs and may cause breathing problems. The agency advises you to avoid the products.